It should go without saying that Kacey Musgraves is now an honorary Brit. From the moment she supported Lady Antebellum in 2012 she began a relationship that would change both her life and ours (fans). In 2013, Kacey had only just released her debut studio album Same Trailer Different Park and the impact it had on the UK country fans was quite astonishing. Kacey’s impact on her UK fans was so impressive in fact, that she played a headline show at London’s Bush Hall to a sold out show of 350 and then went on to play Shepherds Bush Empire later that year which holds an audience capacity of 2,000, that is quite a leap in just five months. Since then Kacey has become quite the regular in the UK to which we are extremely grateful. We have been fortunate to see Kacey twice at Shepherds Bush Empire, a special performance at the historic Royal Albert Hall and a main stage slot at C2C Festival 2016. So what is it about Kacey that the UK loves so much? I am not sure that I can quite put it into words as it is hard to explain but there is simply just something about Kacey. 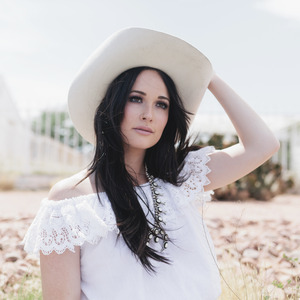 As an audience, we UK country fans do love to listen to an artist intently and Kacey’s soothing, ambient yet at times quirky music has that sort of pull where you want to absorb every lyric, every note. Kacey’s gentle, flawless and flowery vocals really shine in a live setting in such a way that we will never tire of seeing her. Her debut Same Trailer Different Park produced some of country musics finest tracks such as Follow Your Arrow, Merry Go Round, Blowin’ Smoke and Keep It To yourself. STDP also won a Grammy for Best Country Album. Her follow on release Pageant Material, also nominated for a Grammy but didn’t win sadly, gave us songs such as fan favourites Biscuits, Fine, Family is Family, Cup of Tea, High Time , Late to the Party and Dime Store Cowgirl. With her huge success in the UK and ever growing fan base, Kacey returns to C2C not just on the main stage but as Saturday’s Headliner and we cannot wait to see what she will bring us this year, I know we will get some new music which is incredibly exciting. The Royal Albert Hall was truly quite a magical show, it was sparkly, it was sassy and it was stunning on every level. Kacey always puts on a great show and interacts with her audience in such a way that she feels like family – bring on C2C 2018 – we cannot wait!